We have always been a snacky bunch, but as my boys get older, and I get smarter, I am a bit more fussy about the snacks I buy for my family. In fact, my requirements for snacks are quite stringent. 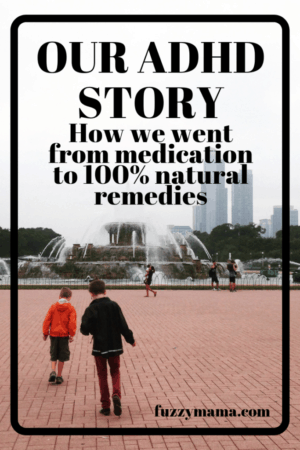 I know that what goes in to my boys’ bodies significantly affects their ADHD and general well being. I want snacks that will tilt the odds in their favor and give them a leg up on their day. Obviously the best snacks are whole foods, like fruits and veggies, hummus and nut butters. 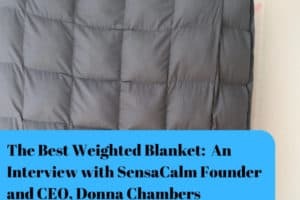 But for this post I am sticking with things that are packaged for the ultimate ease. My kids love one packaged snack in their lunch, so it looks at least a smidge like the standard american lunch. Nutrition wise we are gluten free, soy free, and working towards dairy free. Our snacks need lots of protein and very little sugar. I prefer there to be as few ingredients as possible and no refrigeration needed so it possibly can sit in a car or a backpack for a few days and still be edible. 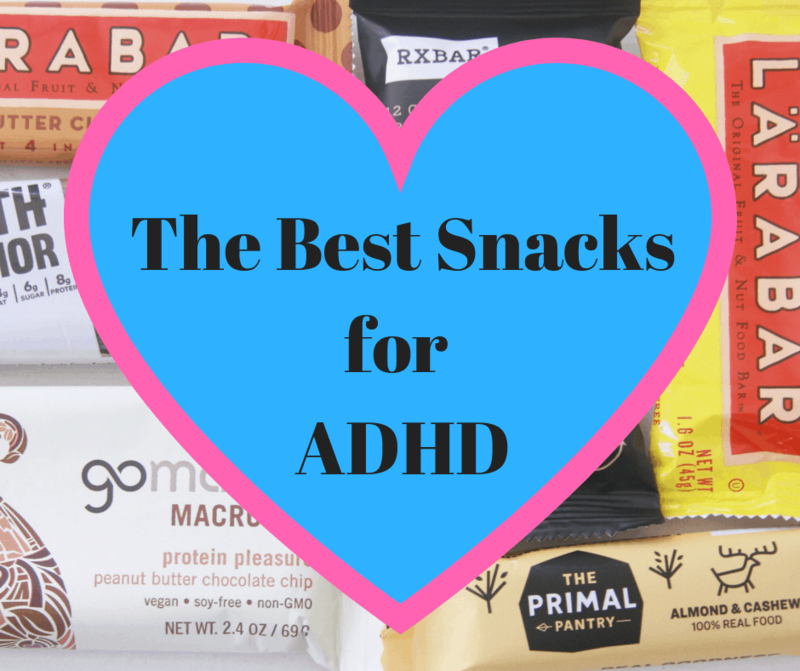 Here’s our list of the best snacks for ADHD! RX Bars – I love that these are so simple and packed with protein(12 grams!). The ingredients are listed right on the front of each RX Bar. The bars are chewy and no super sweet. Our fave is Chocolate Sea Salt, but there are 9 super flavors.This is a local company for us, so I love to support them. Clif Kid Protein ZBars – Clif Kid Bars are a great place to start if your kids are used to super sweet snacks. They do have more ingredients than the other snacks, including some processed sweeteners. But they also have 5 grams of protein and my kids LOVE these, especially the chocolate mint flavor. Clif Kid Protein Zbars are the cheapest on this list, so I rely on them when the budget is tight. Hippeas are new to us and we LOVE them. The 4 grams of protein per serving is a great bonus, too, as crunchy, salty snacks usually do not have any protein. 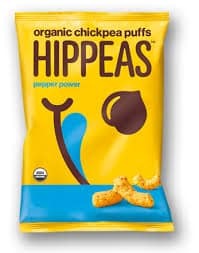 I usually find them at CostCo, but Hippeas can be purchased online and in grocery stores in individual bags that are great for easy packing. 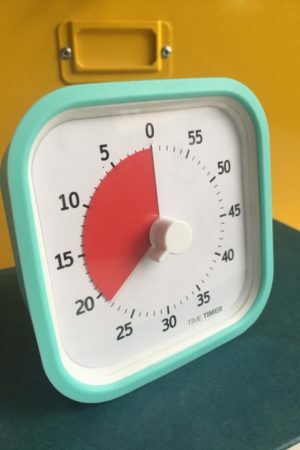 Bonus for sensory seekers: Hippeas are very crunchy and provide some great sensory input, to make kids more alert, as well. Great for nut free schools! GoMacro Bars are a bit more of an acquired taste – definitely not a candy bar substitute. GoMacro’s are higher in calories and with 11 grams of protein can be a bit more of a meal replacement, if necessary. My kids did not love these at first, but now that we are very low sugar, these are yummy for them! Their favorite is Peanut Butter Chocolate Chip. 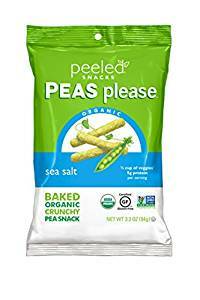 Peeled Snacks Peas Please are super tasty and also have the unexpected protein in a salty snack. My kids rarely stop at the suggested serving size, so they are getting 5 to 10 grams of protein when they eat these. Peas Please are great for a nut free option, too. Justin’s Nut Butter Packets are a new favorite. My son took Justin’s Almond Butter Packs to camp this year and now he is hooked! Each packet has between 6 and 8 grams of protein and 3 grams of sugar or less. They are easy to open and squeeze right into your mouth! Surely these will be a staple in lunches this year. 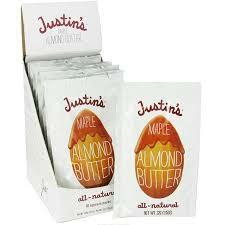 Justin’s has many flavors, but our favorite so far is the Maple Almond Butter. Munk Pack Protein Cookie Naturally, my favorite of the bunch is also the most expensive. These are delicious and really filling. 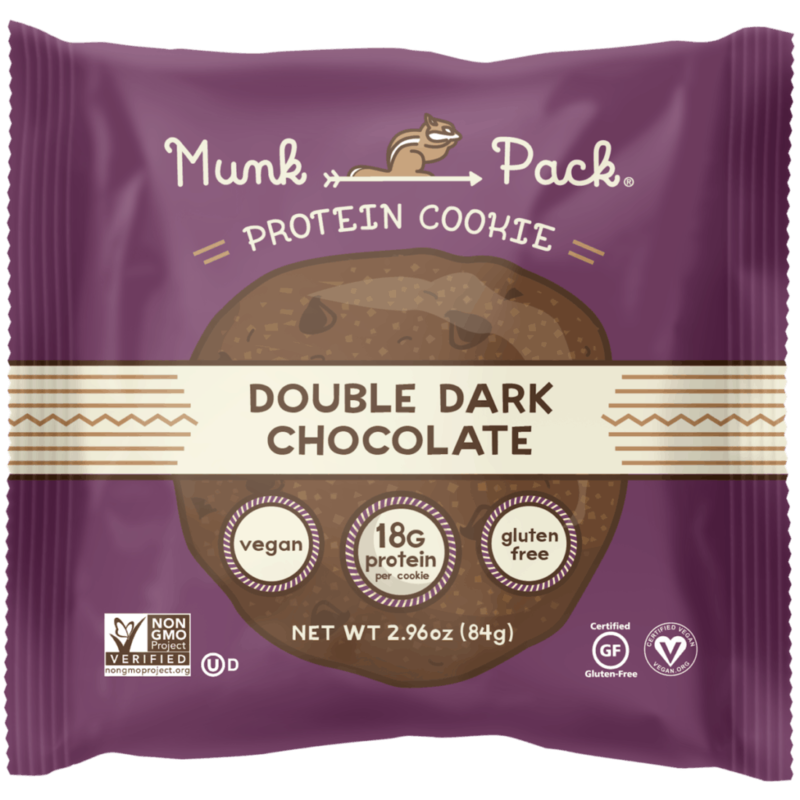 MunkPack Protein Cookies are big and meant to be two servings, so you can split them in half and still get 9 grams of protein! However, my kids can easily eat an entire cookie. The protein is plant based, there’s no soy, gluten or dairy, so Munk Packs meet my toughest requirements. Oat Mega Bars are very filling and packed with protein. You can get these at Target and they are often on sale(yeah! ).We love the vanilla almond and the chocolate mint. My kids can tolerate the whey protein(a product of milk) as it is an easily digested form of protein. Oatmega also has a cookie which is not as easily available – yet- but oh, so good!! Rise Bars were a staple when my kids were going to a nut-free Montessori school. Without nuts, our bar options were so limited,so we ate tons of the Sunflower Cinnamon bars. 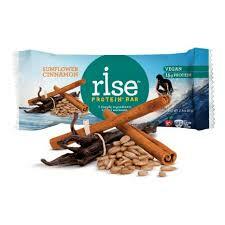 Rise Bars have 15 grams of pea protein and are delicious! Rise offers many other peanut free options, too. 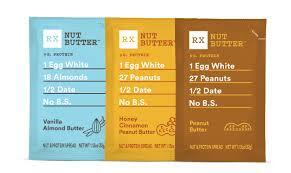 RX NutButter Packs are delicious and quite new on the snack scene. 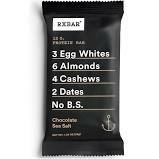 Like the RX Bars, these nut butter packs list the ingredients right on the from of the package. Each pack has 9 grams of protein and are easily eaten on the go. 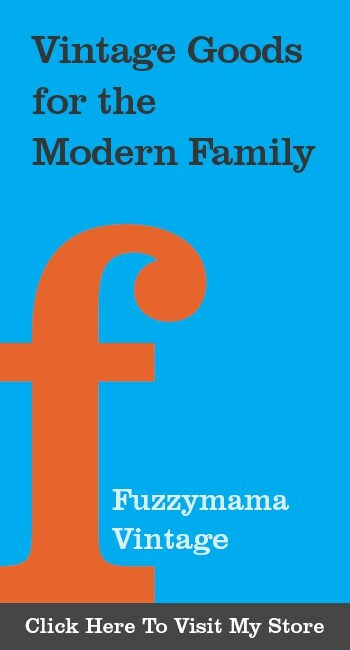 We have tried all the flavors and love each one! These almost resemble cookie dough. 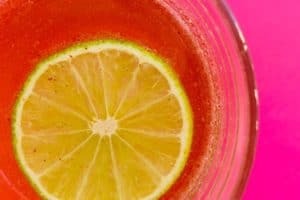 You have to try them! Woah! Help!! These are pricey!!! These snacks are only eaten on the go. Snacks at home consist of fruit and veggies with dip or leftovers, peanut butter sandwiches on g-free bread, sweet potato chips, olives, etc. 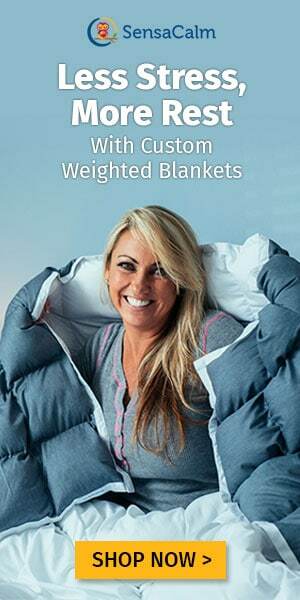 I shop with Amazon’s Subscribe and Save feature. I use the Prime app at Whole Foods. I check HomeGoods food section and find some of these options there. Target often has sales on some of these items, as well and they find themselves on the end caps on a fairly regular basis. Do let me know if any of these already rank as one of your faves. Try one or two and let me know how your family likes them. Some of these links are affiliate links. If you purchase an item using a link I may get a small payment at no extra cost to you. 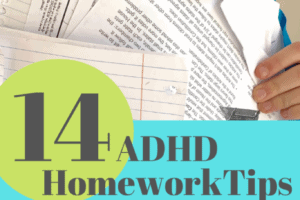 Need more food ideas for ADHD? 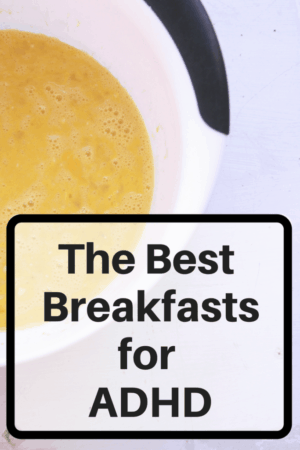 Learn about our Best Breakfasts for ADHD HERE. 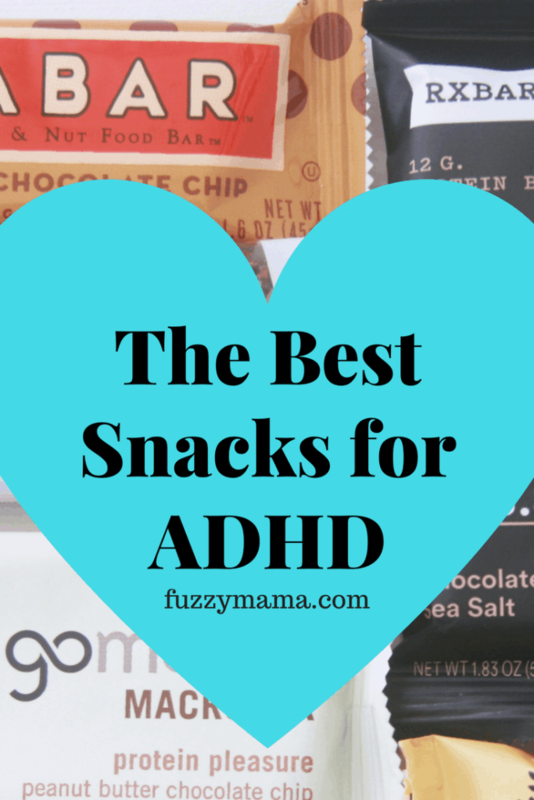 These ADHD Lunch ideas may be what you need.